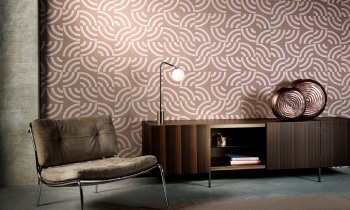 JuteTextile was the source of inspiration for the Revera collection. The Align design is made with real fabric, namely jute. It is a patchwork with pieces of jute loosely sewn together. Using a foil base gives the design a glossy effect. Eclectic collageAs the name implies, Patch combines various prints in an eclectic collage. This design, intended for the real daredevils or the eternally dissatisfied, is a nod to the sixties, when women were dressed with busy, large prints in contrasting colours. 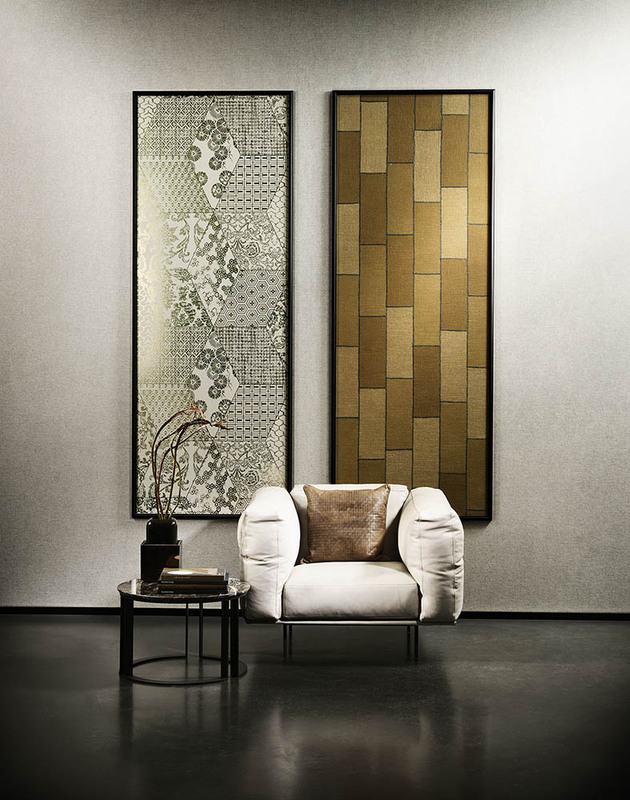 Among other possibilities, this patchwork can be obtained with a gold or silver foil base. Vintage vibesThe cube pattern of Pulse is somewhat surrealistic because of its squiggly lines. This pattern also seems to come from the wardrobe of Twiggy, Jackie Kennedy or Brigitte Bardot. 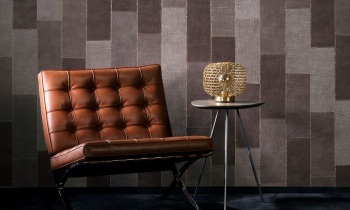 This design with vintage vibes is also finished with flock, providing you with ultra-soft walls. Old stamping techniqueFor Contour, Arte relied on an old stamping technique where the pattern is stamped directly onto the textile. In earlier times, this technique was often used for clothing. The designer of this collection created a mould to make the stamp that served as a basis for this design. 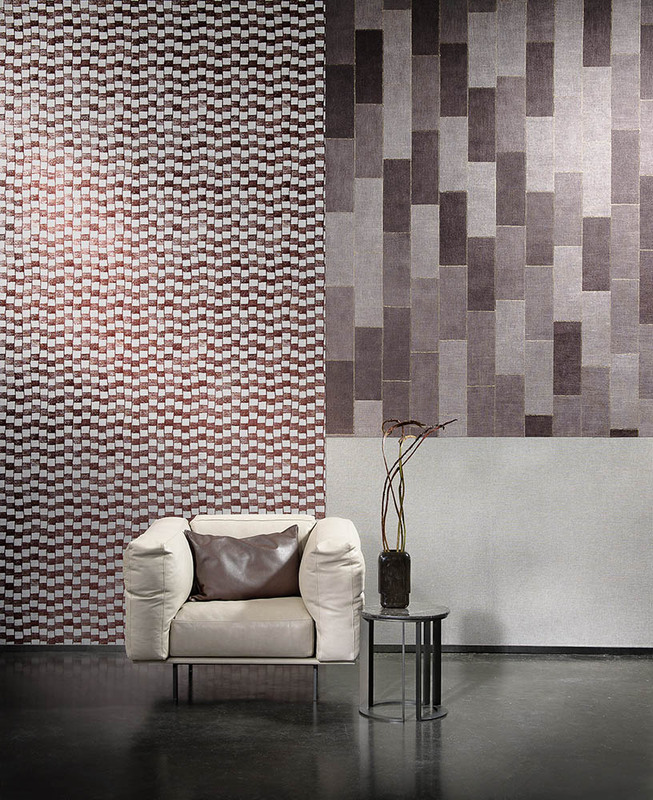 Contour combines a tile pattern with a funky interplay of lines. WavesArc is quite an unconventional design. It seems as if dozens of puzzle pieces were arranged in a random fashion. The various curves are asynchronous, which creates a special look. From a distance, the design is a bit like a trendy vintage print with wavy patterns. RhythmicStriking prints were popular in the '60s, such as zigzag patterns - often in highly contrasting colours like black and white. 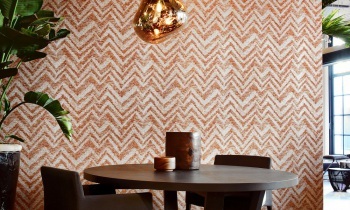 Cadance has a rhythmic herringbone pattern in a freer form. The design was also given a touch of flock, with a tweed effect as a result. 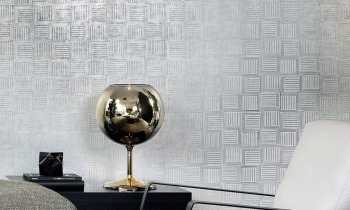 MagicThe geometric pattern of Geo has a mirror effect thanks to the glossy base, among other things. The incidence of light creates magic: the pattern seems to disappear. From a distance you have the impression that you are looking at shiny steel, from close up the pattern almost appears to be woven. 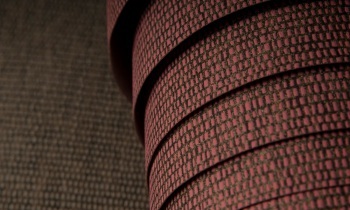 EntangledThe plain Fade has an appearance quite similar to woven fabric. The detailed finish reminds one of textile, and with its subtle shades it has a uniform look. This plain is therefore broadly applicable in any style of interior.